Are you looking for a way for students to engage in number recognition? 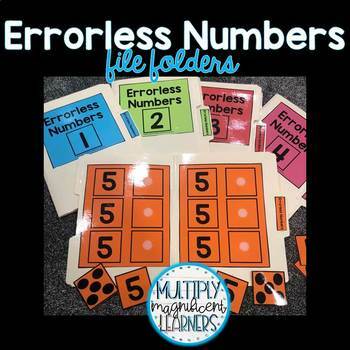 These early numeracy focused file folders take the stress out of answering correctly, while working on identifying numbers and counting! ***This set is not my Seasonal Errorless Number File Folder Games*** You can find that here! Do not purchase this set if you own the seasonal errorless number file folders! This set is included in that one.